Whenever we are involved in transaction with you, I rest easy-I know exactly what to expect-profesionalism! Thanks for all of your hardwork in bringing 3118 Charlemagne in St. Charles to the closing table. My wife and I had the opportunity to work with the Reuter Team, and the experience was fantastic. I'm a huge fan of kind professionalism, and each person I dealt with exemplified this characteristic from the first showing through the contracting process. I highly recommend to anybody looking to sell or buy a house. Thank you so much for the smooth sale of our home. You made the selling of our house easy! We were so pleased as before with the professionalism and attention we received and we recommend you highly! It was a pleasure working with you in finding my home. I am grateful for the dedication and professionalism exemplified during the entire process. Thank you for all your hard work and effort to sell our home. We have never dealt with a realty office that was so professional and wonderful to work with. If we are ever relocated back to the area, you will be the first we call! Charlie and I would like to thank you for your assistance in finding our new home and selling our home. Your professionalism is second to none! Thank you very much for helping us find our new dream house. It is perfect! Thank you also for helping sell our house so quickly. We enjoyed working with you on both ends. I struggle to find the right words to express my gratitude for the exceptional job you and your staff did in selling our house. It has been a pleasure working with you, your honesty and integrity is at a level that I rarely see in anyone! Our house has sold quickly and the moving van will be pulling up to the house on December 26th! 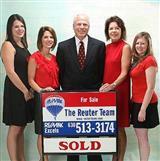 We have had fantastic realtors - the Reuter Team - who have made this experience as painless as possible. Wayne was very responsive to any and all of my questions. He worked hard to represent my interests and suggested ways to keep the negotiating process moving in a direction that was both expedient and successful. Melissa, THANK YOU for your patience. I am so glad you were our agent, and a great one at that. Thanks for always being honest and making us feel comfortable in any situation. I don't think we could have purchased this awesome home without you. Thanks for ALWAYS trying to answer our questions at odd times of the day. You were very accommodating and made things a lot easier for us. Jason and I really hope and look forward to working with you in the future. Mary, thank you very much for all your help selling and buying our homes! We are very grateful to you and the rest of the Reuter Team! We have and will continue to recommend you guys as Realtors! You're the best! The entire Reuter Team is first rate for selling ones' home. They work so hard. It was the second time they've sold a home for me and both times I can only say great things about all of them. Melissa went above and beyond for our family this year to get our house sold at a fair price and especially to ensure it closed! We plan to use her for our future home purchase and have already referred her to others. Thanks Melissa! Mary, thank you so much for all your help finding my new home! 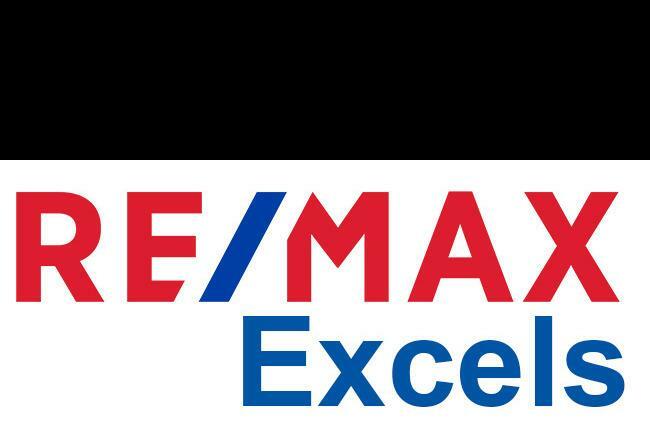 I can't thank you enough for taking the time to explain each step and make sure things went smoothly throughout the whole house hunting, bidding, appraisal, inspection and closing processes. It would have all been much more stressful without you there! Thanks so much! Wayne and the team displayed a thorough knowledge of the transaction process, the current market and all things relevant to our purchase. They were accessible when I had questions or concerns; responses to e-mail or voicemails were always delivered in less than a day and often within an hour or two. The Reuter Team performed about as well as I could have hoped for and it was genuinely a pleasure to work with such competent and friendly people. We really appreciate all your help with looking for homes and with our closing, Melissa. Your follow up and attention to detail was key to making everything run so smoothly and successfully. Mary, we feel like you have our needs and wants in mind. You were great, couldn't be happier with you and will recommend you to anyone we know!